Nestled deep within the prairies, the hamlet of Rosebud is a tourist hotspot in Alberta, visited by over 35,000 people each year despite not having a convenience store, a gas station or a population over 100. The secret to that: the Rosebud Theatre, a top-rated performing arts facility and school. But do you know the history behind it? 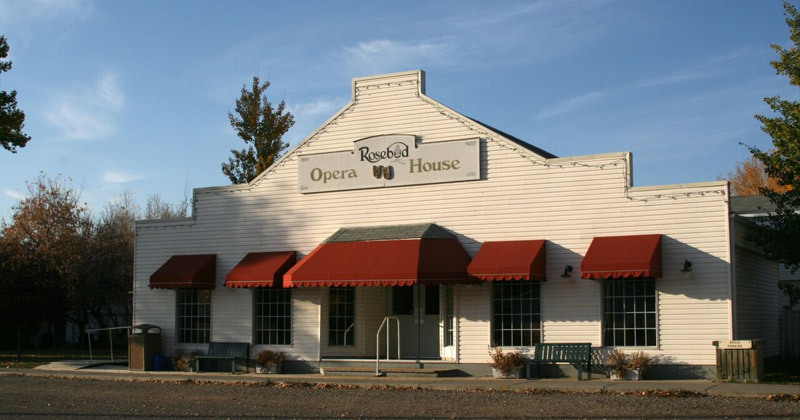 Here’s a quick exploration of Rosebud, its history and the history of the Rosebud Theatre! Before we talk about the theatre, it’s important to talk about the hamlet that built it. 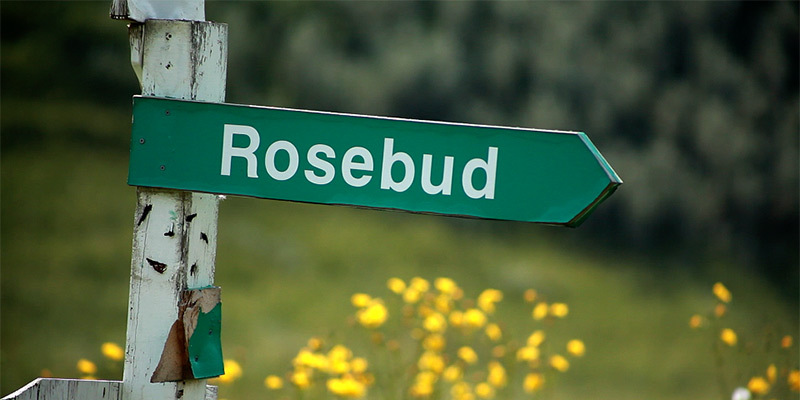 Partly submerged by roses and a scenic valley, Rosebud was discovered by settlers and colonized in the late 1880s. The name comes from the Indigenous term Akokiniskway or “valley of roses.” James Wishart, the first settler, is reported to have made the choice to stay in Rosebud while travelling from Red Deer to Montana. The story goes that Wishart came across the valley when it was covered in thousands of wild roses. A continual influx of settlers and ranchers followed, one by one falling in love with the region’s beauty. Legendary rancher Jack Morton, responsible for plenty of the legends and traditions surrounding the Calgary Stampede, had ties to the area; he worked for José Antonio Sala, a French rancher and even proposed to his daughter Carmen. 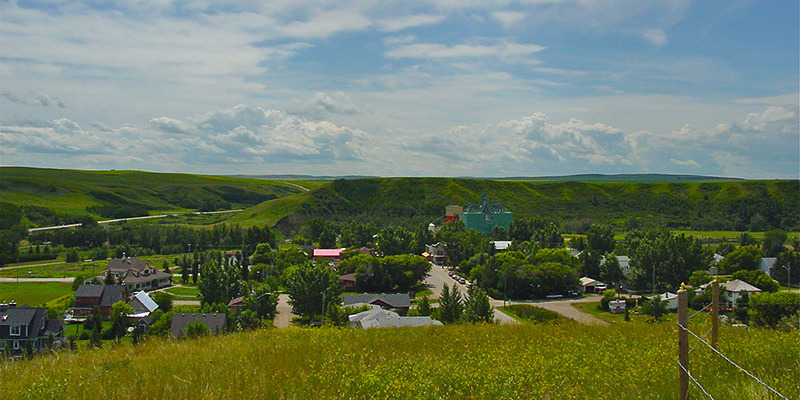 In the early 1900s, Rosebud began to emerge as a farming and coal mining town thanks to the CN Railway. The town prospered as the population grew, reaching as high as 300 after the first World War. But in the 1970s, a provincial-wide education consolidation process which resulted in the closure of the hamlet’s only school hit Rosebud hard. Population numbers dropped fast, eventually dwindling down to just under thirty. Many local businesses closed, with most of the buildings abandoned and awaiting demolition. It was a decline not unfamiliar in other prairie towns however, there was something waiting to revitalize Rosebud that nobody could have likely predicted. In 1973, LaVerne Erickson, a Calgary-based music teacher with a background in education, started a summer fine arts camp in Rosebud for Calgary students looking to venture out of the city. Named the Rosebud Camp of the Arts, the camp was a success, beginning to reawaken the little prairie community. A few years later, the Rosebud Fine Arts High School was established, fashioning together an education combining academics, the performing arts and work experience and drawing in plenty of interested fine arts students from across Western Canada and beyond. The old buildings were restored and used as classrooms, dormitories and retreat centres by the students and staff. In the 1980s, the high school was expanded to also offer post-secondary theatre education. In 1983, the school launched what is now known today as Rosebud Theatre. Students and staff wrote, rehearsed and performed an original production on an outdoor stage and named the production “Commedia Del’ Arte,” to mark the centennial of the first settlers in the area. From that point on, shows were staged by Rosebud every year, with the 1988 season the first to feature an entire season’s worth of shows. Shows were held in a grain storage facility repurposed as a community hall. Three years after the theatre’s launch, the Rosebud School established a Fine Arts guild, which changed how the school operated and allowed artists to provide apprenticeship-inspired education in the theatre itself. The school was later recognized as an institution of higher learning by the provincial government in 1988, turning it into a professional school of the performing arts and drawing in artists and patrons from across the country. The theatre’s popularity exploded from that point on, going from 10,000 annual patrons to 30,000 in under a decade. Today, Rosebud enjoys a well-earned reputation as a charming hamlet and a source of enjoyment for theatregoers in Alberta. Thirty-five years after its first production, the theatre is still going strong with an appropriately titled “The Amazing Season” currently underway. 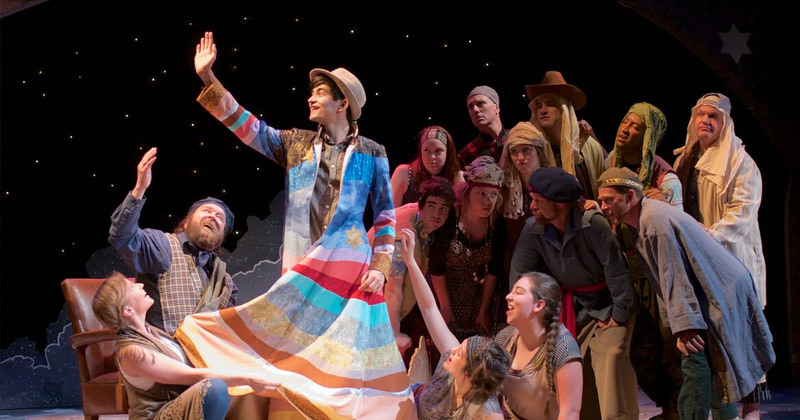 The centrepiece of Rosebud Theatre’s current season is a production of “Joseph and the Amazing Technicolor Dreamcoat,” running June through August. The theatre’s production broke box office records in 2006, making an easy case for its return twelve years later. The Broadway-inspired rendition promises a reimagination of the story of Joseph and his coat, allowing patrons to take in the familiar and beloved story through fresh eyes. Going to Rosebud Theatre is an experience that encompasses more than shows. 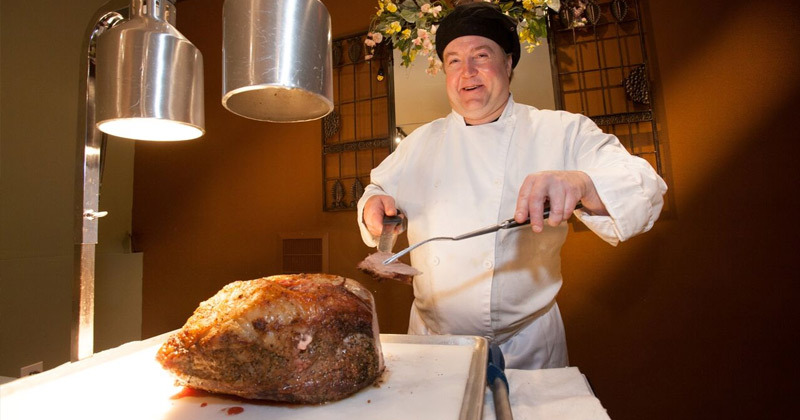 Tickets to performances include a buffet meal at the Haskayne Kenney Mercantile – formerly known as the General Store that served the entire hamlet – where you’ll get fine dining with live music. Day trips are practically a mandatory with Rosebud shows. 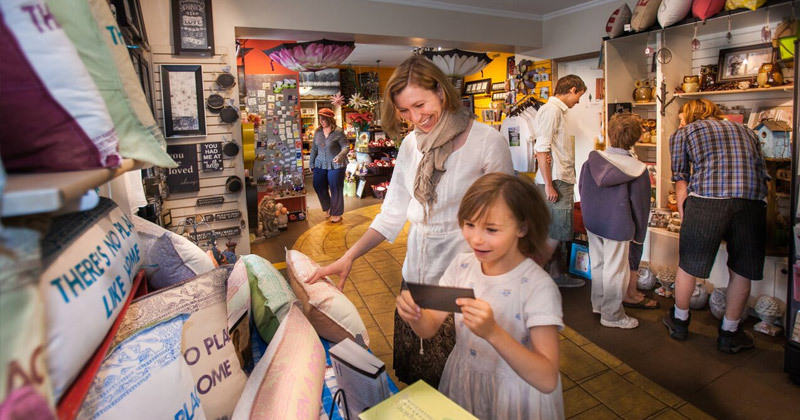 Drive down and make it an adventure; play a game of golf, take in the Centennial Museum and its displays and artefacts of Rosebud life, visit the nearby Akokiniskway Art Gallery or go for a hike in the stunning valley. It’s all about the experience in Rosebud!